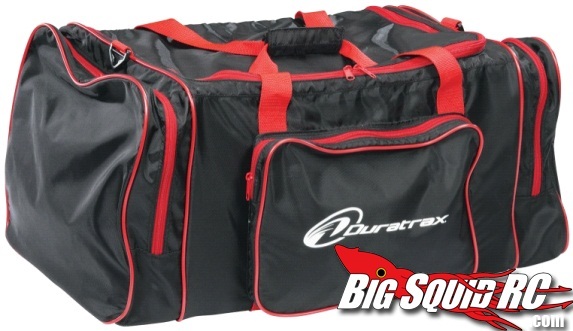 Duratrax Deluxe XL Field Bag « Big Squid RC – RC Car and Truck News, Reviews, Videos, and More! If you’ve got a ton of stuff to haul to your bashes, Duratrax have a new bag that should hold the whole lot comfortably. The Deluxe XL Field Bag is a generous 27″ long and 14″ wide, meaning it’s big enough for the biggest of short course trucks and 1/8 buggies, and theres plenty of room for spares and your radio in the external pockets too. Check out the Duratrax Website for more info.